Wine Scholar Guild honors Lim Hwee Peng CWE, FWS, as 2017 French Wine Scholar™ (FWS) Instructor of the Year! 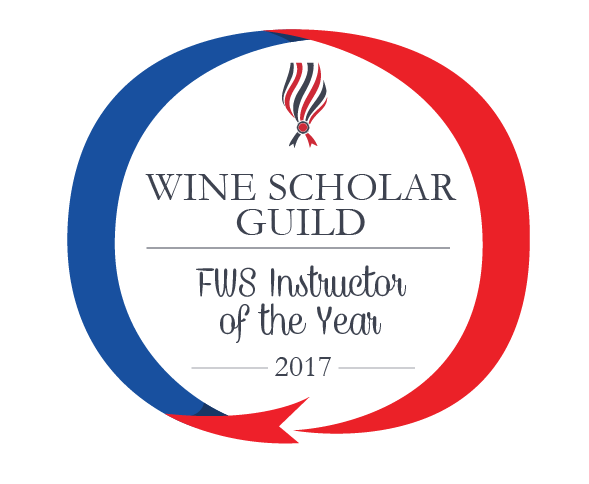 FWS Instructor of the Year is an award of excellence recognizing creative and effective classroom instruction for the French Wine Scholar study & certification program. The recipient is selected based upon outstanding presentation skills, organization, congeniality and a genuine and spirited joie de vivre—all talents reflected in stellar student evaluations. Lim Hwee Peng CWE, FWS is a full-fledged wine service provider. In his role as a wine tutor, he desires to nurture a growing number of certified wine professionals through international wine certification programs that his wine school hosts in Singapore and South East Asia. 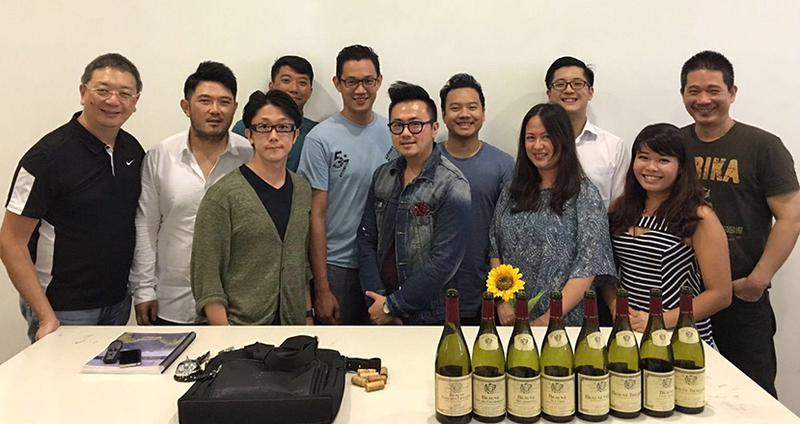 Despite being a graduate of multiple international and professional wine certified programs, Lim remains a committed student of wines as he continues acquiring intimate knowledge of the wine world through regional visits. Lim also hones his tasting skills through wine judging opportunities in Australia, South Africa, South America, Italy, and recently at the Decanter Wine Asia Award in Hong Kong. Among his professional accolades, Lim is pleased to have been awarded DUX of Advanced Wine Assessment Course by Australian Wine Research Institute. 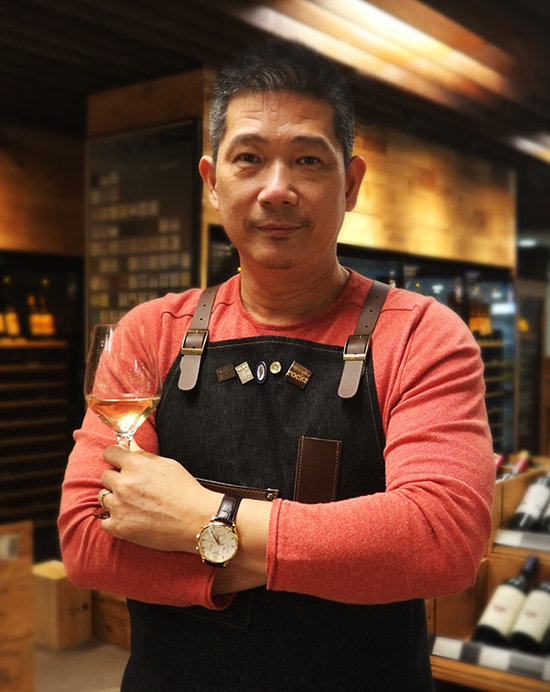 Locally, he was also recognized by the Singapore Wine and F&B industries as a ‘Sommelier Mentor of the Year 2017’; and shortly after garnering that industry award, he was additionally acknowledged as a ‘Working Peoples’ Advocate 2017’ by the Singapore’s National Trades Union Congress for his efforts to increase professionalism among his peers. Tell us of your love of teaching…specifically your teaching of wine. When did you first start to lecture? What led to the creation of your wine school? 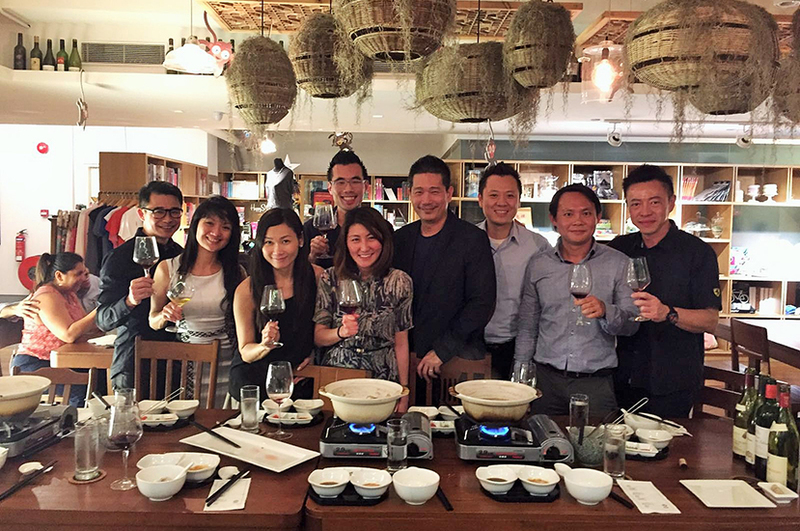 Since the 1990s, during the infancy stages of the Singapore wine industry, I have been fortunate to be exposed to and engaged with qualified local and international wine professionals, who have influenced my appreciation for the importance of professionalism, and subsequently, the relevance in certifying one’s experience and knowledge. Since then, though the popularity of wine has grown and the reputation has become more established in Singapore, the common perception of the wine industry here was that it was a business of wheelers and dealers and sales individuals. It was common for wine sales to be carried out with a standard pitch utilizing an increasing range of ‘fruitiness’ as differentiation between various bottles (i.e. ‘fruity, more fruity and very fruity’). Business was often attained through time spent drinking with potential clients, or in some extreme examples, the flaunting of one’s physical assets. Focus was purely on sales, without efforts being spent on attaining the credibility deemed vital for a profession. Professionalism, sustainability of a trade, or certified wine programs, etc, were literally unheard of in the early to mid-1990s. Thus, when enrollment in the Advanced Certification course with the Wine & Spirit Education Trust (UK) became available in 1998, I seized the opportunity without hesitation. After helming the wine column for an established food and wine publication, and continuing on to take a marketing role with the Wine Institute of California, to promote California wines, it dawned on me that I'd have to decide whether I wanted to continue contributing and influencing the wine profession indirectly, or be an advocate on the importance of professionalism within Singapore wine industry. In 2005, after some months of prayer, I took the leap of faith to kick start a vision of nurturing an increasing pool of certified professionals in Wine, F&B, Hospitality and related trade sectors (e.g. F&B/Culinary lecturers/institutions, Food & Wine Media, Food & Wine Consultants, etc), and to build up the wine profession as a sustainable and respectable vocation. The mission that we have defined is ‘to shape minds, build confidence and make a difference’ to our profession. We summarize these as the M.A.D. (or 'make a difference') Mission. But, our aspiration was not limited to influencing fellow peers to take a serious stand on our profession. We were also aiming to shape the minds of relevant authorities to re-orientate their perception of the wine industry, from an alcohol trade of a transactional nature, to a profession that could build up an individual's life and provide a sustainable livelihood. In the initial years, we did feel our ambitions were bordering on crazy-or that our goals were too lofty. But with hard work and blessings we are now into our 13th year of our M.A.D. mission and continue to progress. We have helped more than 320 wine professionals and sommeliers get certified with various wine certification programs, including the Wine Scholar Guild's French Wine Scholar Program. Those certified wine specialists can be found in all vocations in the Singapore Wine, F&B, Hospitality, and related trade sectors. Most of the certified wine specialists are Singaporean, although quite a proportion of our program graduates also originate from parts of Malaysia, Indonesia, Thailand, Philippines, India, China, South Korea, Japan, France, Spain and Mexico, which makes our efforts truly international. Our footprints can also be found in Kota Kinabalu, Penang, Kuala Lumpur (East & West Malaysia), Seoul (South Korea), Jakarta, Bandung (Indonesia), and multiple states in Thailand. When times get tough, we are motivated by watching the professional growth of the members of our wine specialist family. This year, we also received the great honor of having been recognized with the industry award of Sommelier Mentor of the Year 2017. Despite being recognized, our efforts continue. It is clear that much still needs to be done, and we continue to seek partnerships with local and international wine partners. When and why did you choose to become a French Wine Scholar educator? Since certifying wine experience and knowledge forms an integral part of our mission, wine programs that we have introduced to the market have to be carefully evaluated, i.e. relevance and value to market, inclusiveness, etc. Over the years in collaborating with international wine bodies, we have managed to establish a progressive program structure that offers various certifications ranging from operational-level to specialized & higher-advanced level wine courses (The French Wine Scholar program is one such program). Due to these offerings, we are able to offer courses to both trade professionals and wine enthusiasts, based on their needs and interests. How then do we quantify the relevance of a wine program? A suitable program should be professionally recognized, have international stature and offer content that is inclusive in nature. With the ‘professionally recognized' and 'inclusive' elements, we are confident that fellow peers from a diverse background (wine retail, marketing, sales, operational, business owners, event organizers, F&B lecturers, F&B Consultants, and Wine/Food Media) can benefit from investing their time and resources into enrolling in one of our certification programs. The ‘international stature’ requirement ensures program graduates are able to seize professional opportunities offered in both local and international markets. The French Wine Scholar (FWS) program ticks all those boxes. More importantly, the FWS program is run by a team of true professionals led by Julien Camus and Lisa Airey. Whether it is in the area of program administration, or communication between Wine Scholar Guild (WSG) with our team, the WSG team is a class above many we have worked or are working with. WSG office treats us as an equal and exclusive partner, is sensitive and considerate of the unique market dynamics that we are coping with and managing, and provides flexibility and confidence for us to build up the credibility of the FWS program in Singapore. Those traits, in my view, could only be carried out by individuals and an organization that is truly dedicated to professionalism and believes in what they are doing. So for the current success of FWS program in Singapore, credit must also go to Julien, Lisa and WSG team members for continuing to nurture our rapport and build on the close partnership that we sincerely treasure. We are indeed very fortunate to have Wine Scholar Guild as our program partner. Singapore is a market with complex social and cultural traits. Firstly, Singapore is not a homogeneous society, and there is sensitivity to a profession that is alcohol-related. Although the island state is populated mostly by ethnic-Chinese, Singapore is also home to Malay, Indian, Eurasian ethnic groups. One might mistakenly assume that English is Singapore’s national language, since English is commonly used in day to day communication, on public signposts, transport infrastructure, and by international businesses. Truth is, Bahasa Melayu (Malay language) is our national lingo. Being a tiny island nation in Asia and South East Asia region (we are a mere 5.4 million population; Bangkok (a city) alone is about 9.6 million, just to give some perspective), to survive and thrive, Singapore has to stay nimble and competitive. remain constantly equipped with skills and knowledge that will keep them employable. Skillsfuture is one of those initiatives, conceived primarily to nurture an attitude of lifelong learning among Singaporean. With this program, the cost of continuing education and skill upgrading is subsidized by the government. Hence, courses or programs that are approved as part of Skillsfuture listings have to be of value and relevance to the present and future employment landscape. With these objectives met, Skillsfuture was able to accredit French Wine Scholar program as part of its subsidy programs, eligible for all Singaporeans 25 years and older. This year (2017), our services to wine and related industries were recognized by the Singapore’s National Trades Union Congress (NTUC) with a ‘May Day Working Peoples’ Advocate’ award. In enhancing our collaborations with the governing authorities, we will also be launching several initiatives in 2018 to assist peers in upgrading their skills and knowledge. What type of education experience do you provide to your French Wine Scholar students (teaching methods, social components, support outside of class, etc) that sets you apart? We structure our learning experience, primarily, with the aim to guide FWS program participants in achieving a positive or an excellent result for their exam attempt. Additionally, to spice up our presentation on Geography, Geology, and other less ‘enjoyable’ subjects we also shared anecdotes of our first hand-encounters in some of the French wine regions that we have visited (e.g. Alsace, Bourgogne, Bordeaux, Rhone Valley, etc). We also include a pair of fine wine glasses as part of the learning package. FWS program participants benefit from exposure to a range of judiciously selected French wines that exhibit the best characteristics of each region. At the end of each tutorial session, a ‘happy hour’ involving an informal discussion is organized for the participants, so that comfortable engagement can be had on a one to one basis. Beyond the classroom, we have created regional study trips that will help the graduates in further enhancing their wine learning journey. Together, with Australia Wine Research Institute, we have worked to impart the fine art of wine judging to French Wine Scholars and other certified wine specialists, so as to elevate their professional technical wine assessment skills, and be on par with international demand. Program graduates are offered opportunities to be involved in some aspects of our industry projects, so that graduates are able to appreciate and learn on a first-hand basis the many factors that lead to success. 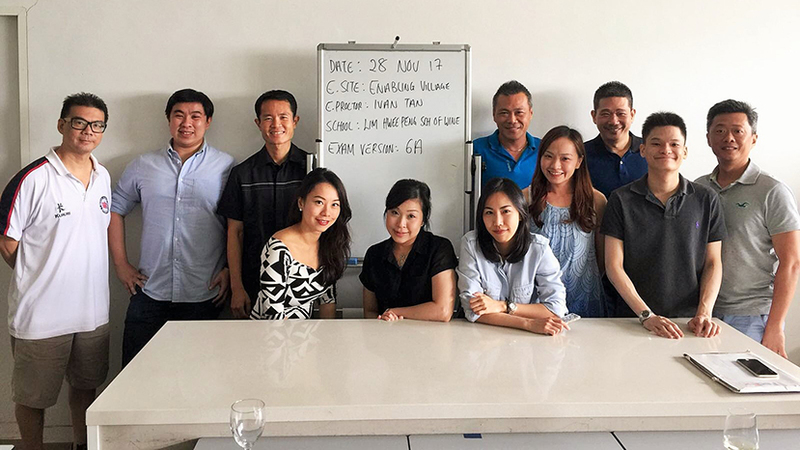 As a strong advocate for continuing education, we also lead by example by attending international courses, and we work hard in doing well, so as to project a professional image of the Singapore wine industry. In one such overseas program, we were privileged to be recognized as DUX of an Advanced Wine Assessment Course, a certification program that aims to equip Australian winemakers and other wine professionals for the role of wine judging. We constantly seek opportunities to enhance our offerings and contribute to the increased professionalism of the individuals in the wine industry. Hence, our M.A.D. mission remains a work in progress, and it will only advance with continued support from our partners, such as Wine Scholar Guild.